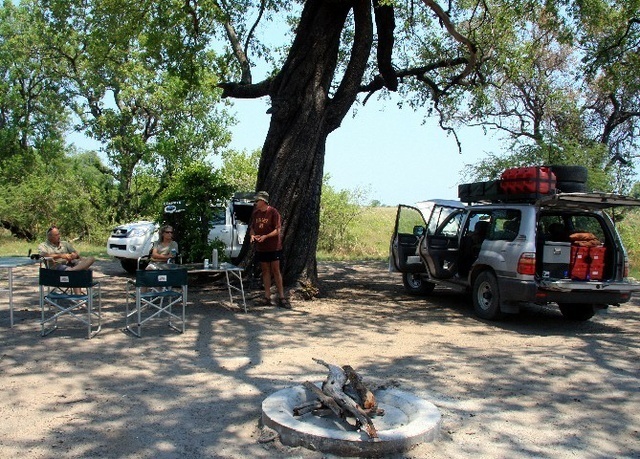 The camp is located in Moremi, and a short drive from Xakanaxa. It is located at the 3rd bridge from the south gate (hence the name) and has 7 sites with a 'fireplace'. There is newly built ablution facility, i.e. toilets and showers only and standpipe. The camp is not fenced and there are lots of wildlife in the area, this have resulted in a few close encounters with the animal kingdom. Baboons can sometimes be a problem and there have been a few incidences with spotted hyenas. 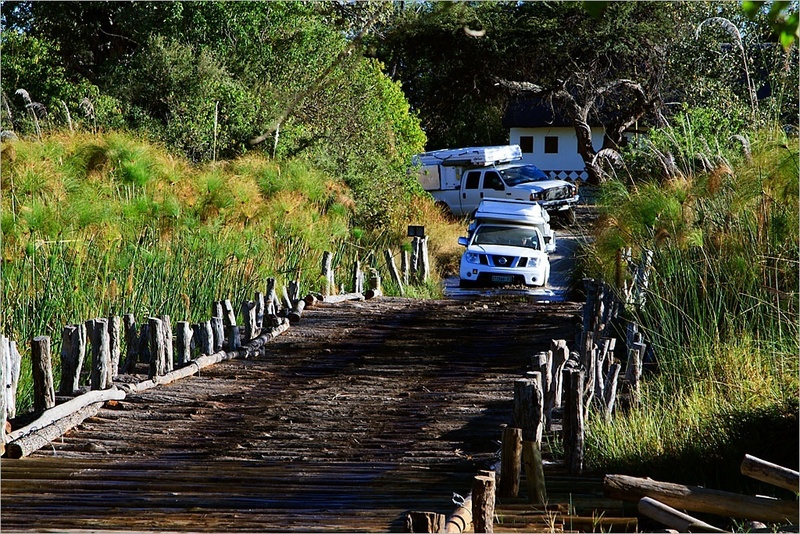 3rd Bridge also offers ensuite Tented Accommodation consisting of 3 Twin Beds and 1 Honeymoon Self Catering en-suite unit. Reservations for the campsites are mandatory! Payment of park fees has been decentralized. Park fees are still paid through Department of Wildlife at central pay points. Vehicle fees paid depend on the vehicle country of registration. For more information on pay points contact the DWNP at +267(0)397 1405. (Jun-17). Xomae Group (Pty) Ltd, P.O. Box 1212, Maun, Botswana. SADC rates are quoted. International: USD50; Residents: BWP190; Citizen: BWP80; kids 0-7 years free, 8 - 17 years are charged at 50% of relevant camping rates. ADDITIONAL FEES: Vehicle entry fees: BWP10-BWP50; DWNP Park Entry Fees: Citizens BWP10pp; Residents BWP30pp; Non-Residents BWP120pp. Kids under 8 don't pay park entry fees. Kids 8-15 years: pay half the adults rates. (Rate info updated Sep-2017). It was reported that at beginning of April 2015 the delta was very low, as there was a low rainfall season, but the levels should start rising from May onwards, depending on how much rain fell in Angola (the catchment area for the Kavango River). From South Gate to Third Bridge you will travel along the edge of the delta, and depending on the level of the water, you can expect some water crossings at 1st and 2nd Bridge. (April 2015). In April 2015 that the track from Third Bridge to Xakanaxa was very sandy, with water at Third and Fourth Bridge. 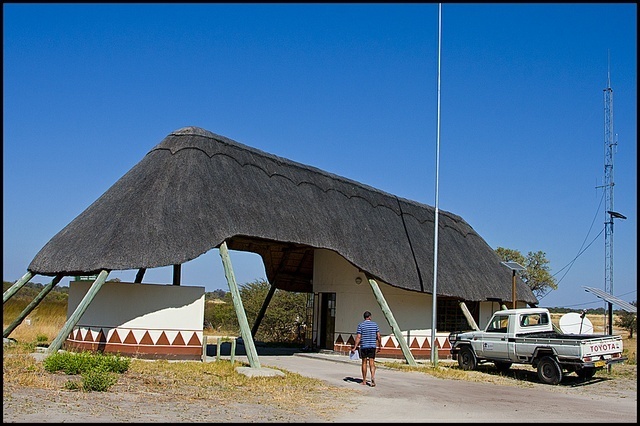 Road transfers from Xakanaxa airstrip & Maun. A traveller recommended this camp. (Sep-14). Try not to camp under trees because of baboon excrement!